On Wednesday evening the Celebrity Big Brother live feeds finally kicked off and we saw the house guests LIVE. However they have been in the house for a week now so there is a lot we didn't see. Being 'haunted' by Trump's tweets and wondering,"What is he going to tweet next?" Others in the White House worked to keep her away from Trump. She'd like to say things in the White House aren't her problem but, "It's bad." We may see more on tonight's show or perhaps that was the entire conversation and CBS is using it to get attention (worked for me!). 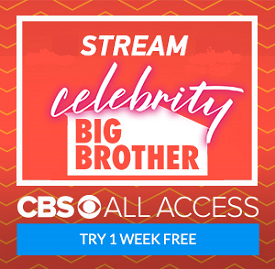 Get CBS ALL ACCESS and watch the Big Brother Live Feeds for yourself!